Croatia is truly a stunning yacht charter destination in the Adriatic Sea and boasts over 1,000 islands scattered like pearls along the Dalmatian Coast. Refreshing, crystal waters and dramatic landscapes create an ideal place to kick back and relax. Explore beautiful Split and Dubrovnik, anchor off the wild beaches of Hvar and Mjet, swim in the crystal clear water of the Dalmatian islands, Croatia has it all. Some of the best anchorages are off the hidden beaches on the island of Vis. From here take a trip to Biševo to the Blue Grotto. If you time the tide and position of the sun just right the interior of the cave is bathed in an intense cobalt blue. Charter a yacht in Croatia and start exploring this beautiful destination. Croatia is a land of unique beauty and charm with an eventful, colourful and sometimes forgotten past. Modern-day Croatia has been shaped by weathering, wars and invasions, and is now one of the most wonderful parts of the world to live and vacation in – offering amazing cuisine, historical landmarks, and a beautiful climate. 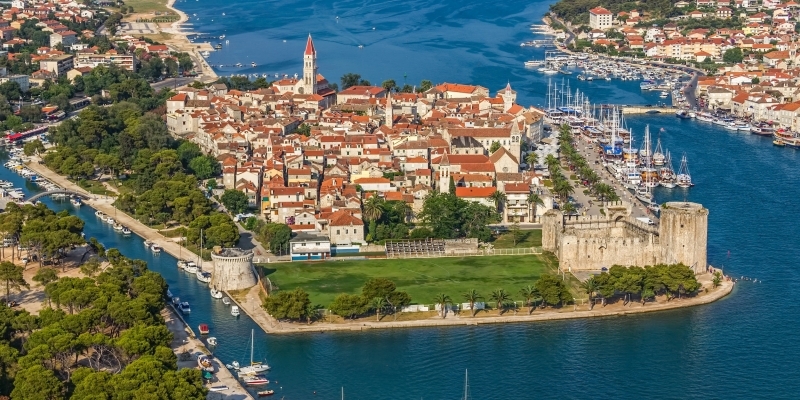 The perfect way to sample this wonderful country and its Adriatic coastline is to charter a yacht and explore at your own leisure – starting at the most southern city of Zagreb and sailing right to the northern tip in Pula, there are fascinating cities with their own stories to tell in this wonderful nation. What cities can I reach on a cruise around Croatia? Some of the best anchorages are off the hidden beaches on the island of Vis, where a trip to Biševo and the beautiful Blue Grotto is essential – timing the tide and position of the sun just right means you’ll experience the interior of the cave being bathed in an intense cobalt blue. 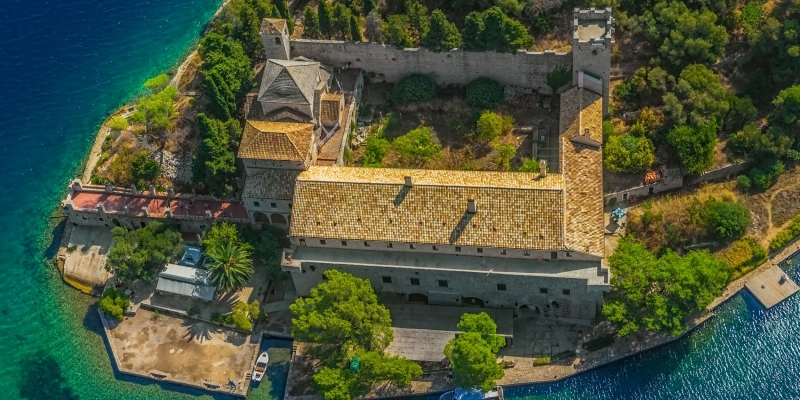 A visit to the preserved old town of Trogir is a must to take in the stunning views from the bell tower of the Renaissance Chapel of St. John. The small town of Skradin is located by the entrance to the Krka National Park which is home to a series of breathtaking waterfalls. Charter a yacht in Croatia to start exploring this beautiful destination and more – Croatia has more than 1,000 wonderful little Islands to explore, each boasting crystal clear blue waters all along the Dalmatian coast, from the beautiful cities of Split and Dubrovnik, anchor off the wild beaches of Hvar and Mjet, and experience the best sailing along the coastline of this wonderful country. Once you set sail on a chartered cruises you can take in breathtaking locations like Stomorska, Hvar, Korčula, Okuklje and Sipanska Luka. Each destination filled with its own charm and history and make the perfect getaway for lovers of ancient and modern history alike, or anyone looking to relax and unwind in outstanding scenery and beauty. Chartering a yacht in Croatia ensures the journey to each destination is as much a part of the holiday as your arrival and time onshore. Unlike traditional cruises, you can do it all at your own leisure and only visit those places you really want to see and experience. Design your own cruise itinerary to take in all the wonders of Croatia at your own leisure – each destination is a thought through treasure trove of delights. Split, on the southernmost tip of the country, is a city that a city that buzzes the exuberant balance of tradition and modernity and offers the perfect way to see and experience the Dalmatian way of life. From the Unesco World Heritage Site at Diocletian’s Palace to the dozens of bars and restaurants scattered across the city, Split oozes eastern European charm, all surrounded by old walls that have stood strong for thousands of years. Holiday where the Romans did in Stomorska, an historic island to the north of Split, or venture to the picturesque island of Solta to while away the time in one their many ‘agroturizam’, where you can sample the beautiful local cuisine and wash it down with their own unique grappas and wines. 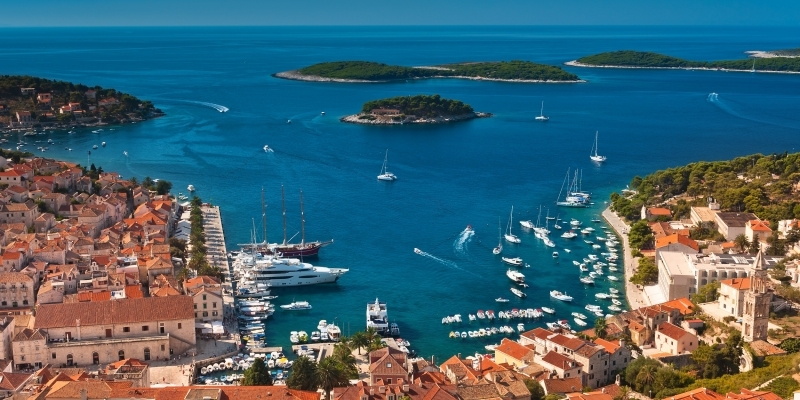 For those looking for the glamorous side to a luxury yacht holiday in Croatia, look no further than the vibrant city of Hvar. It welcomes over 20,000 people a day and yet you can feel completely alone in your own thoughts in the majesty of this small bay town. 13th Century Gothic palaces make up the interior of this walled city where pedestrianised areas are just yearning to be explored. Croatia’s many, many islands make picking the the perfect destination an exciting journey in itself. 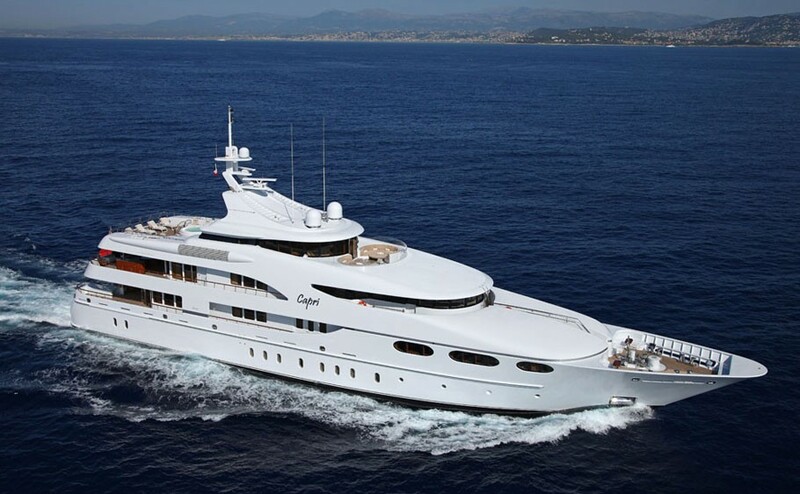 But wherever you choose to travel, a yacht charter in Croatia is a truly wonderful experience – take in, Korčula, Okuklje and Sipanska Luka and leave little to the imagination in beauty, charm and pure enjoyment. With its coastline and inner mountain region, Croatia, as you can expect, has a dual climate. The coastal areas have typically Mediterranean weather, consisting of hot, dry, sunny days during summer, and relatively mild and sometimes wetter ones in winter. Winters are obviously cooler, although temperatures never really get below about 5°C/41°F. It is not uncommon for summer weather to stretch out into the Autumn months and especially amongst the coastal towns where you can expect to see a brave soul hit the beach and go swimming. Sailing in these autumn months though is not advised as the water can get a little choppier. 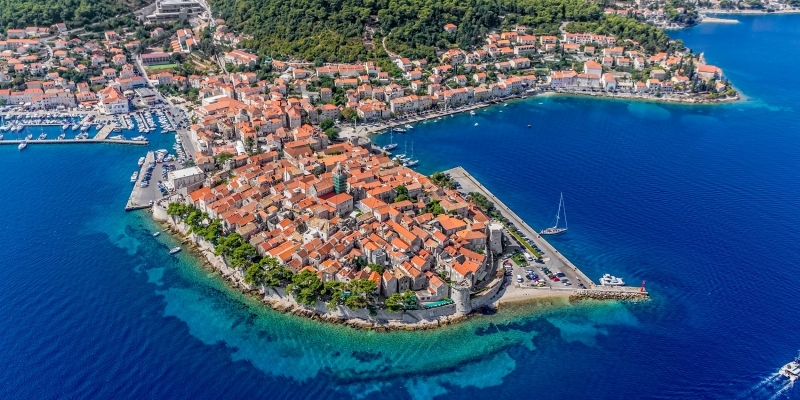 You can access any of the main Croatia cities by air, the main airport is Split, rail or road, and there are plenty of harbours near all points of interest to set sail or moor up your vessel. Croatia is a Central European and Mediterranean country, bordering Slovenia in the northwest, Hungary in the north, Serbia in the east and Bosnia and Herzegovina in the south; the country also has a long maritime border with Italy in the Adriatic Sea. The currency for Croatia remains the Kuna, whilst the national language is Croatian with many of the tourist destinations being accessible for those that speak English, Italian, Hungarian (to the east) and Serbian (to the north). You can access any part of the Croatia by air, sea and land but, once there, setting sail and exploring by yacht is the best way to experience everything the area has to offer, and make the holiday your own. 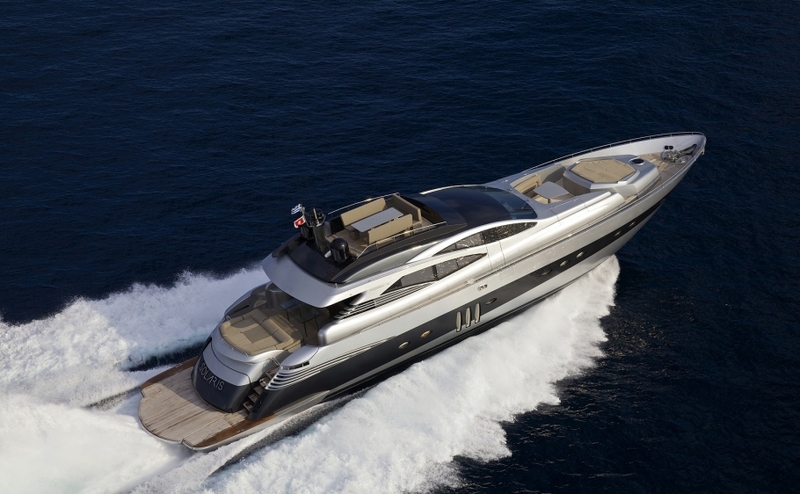 Princess Charter offer a variety of yachts for charter along Croatia and its islands, ranging from 20 metres to 100 metres in length.